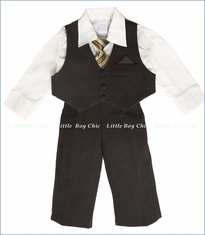 A handsomely constructed 5-piece suit for any occasion. 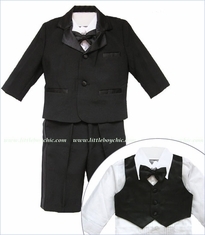 It's a miniature replica of the adult version in superb fabric with all the details you would expect. 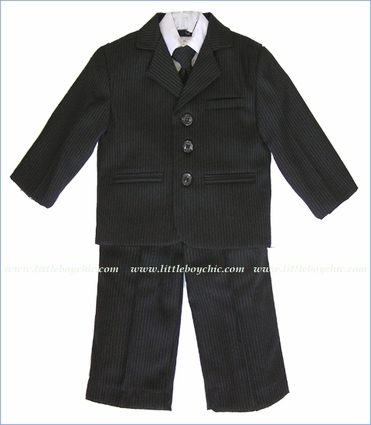 Lined three-button pinstriped coat with functional pockets and lightly padded shoulders. Two decorative buttons on cuff. 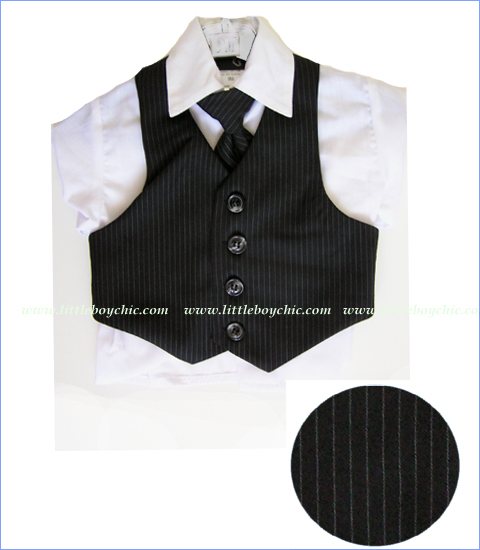 Lined four-button pinstriped vest with black satin back. Clip-on pinstriped tie. White shirt with buttoned cuffs. 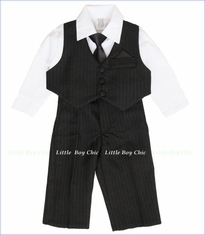 Black pinstriped pants with elastic waistband and side pockets. Spare buttons included.